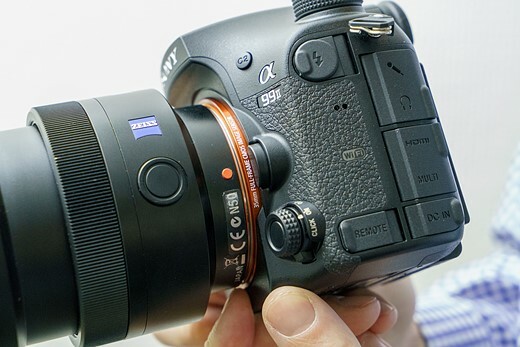 The a99 Mark II looks a lot like its predecessor but a lot of changes have gone on. The most significant of these is the upgraded image sensor – it’s now a 42MP BSI CMOS chip – but a series of tweaks have also been made to the camera’s body. The heart of the camera’s AF capability stems from its combination of a dedicated DSLR-style PDAF sensor with information from the on-sensor phase detection elements on its main imaging sensor. In the a99 II, the dedicated PDAF sensor has 79 AF points, the central 15 of which are cross type. The central point is designed to be extra sensitive with wide-aperture lenses and is rated as working down to brightness levels as low as -4EV. The remainder of the AF points on its dedicated sensor are horizontal type sensors, while all its 399 on-sensor AF detection points are vertical type sensors. When used in together, these provide what Sony calls ‘Hybrid Cross Type’ AF. These work over the region where both sensors overlap. 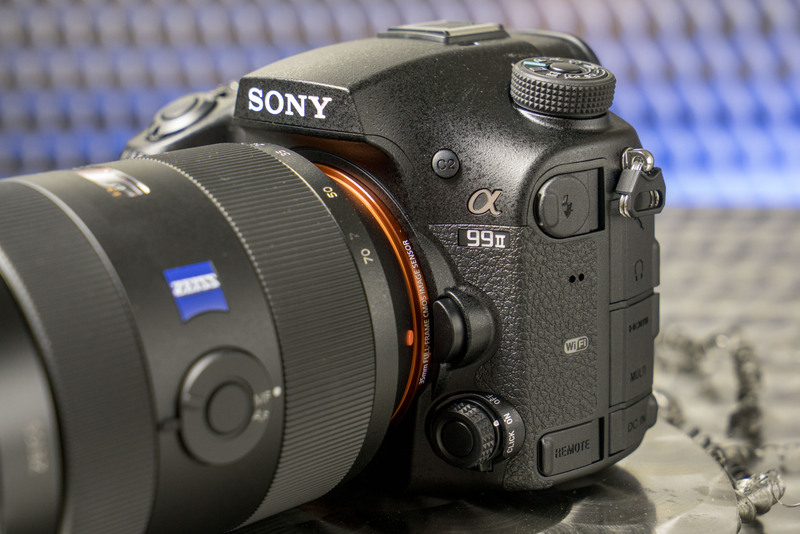 The a99 II can shoot at up to 12 fps, something it can maintain for up to 60 JPEGs or 54 Raws. 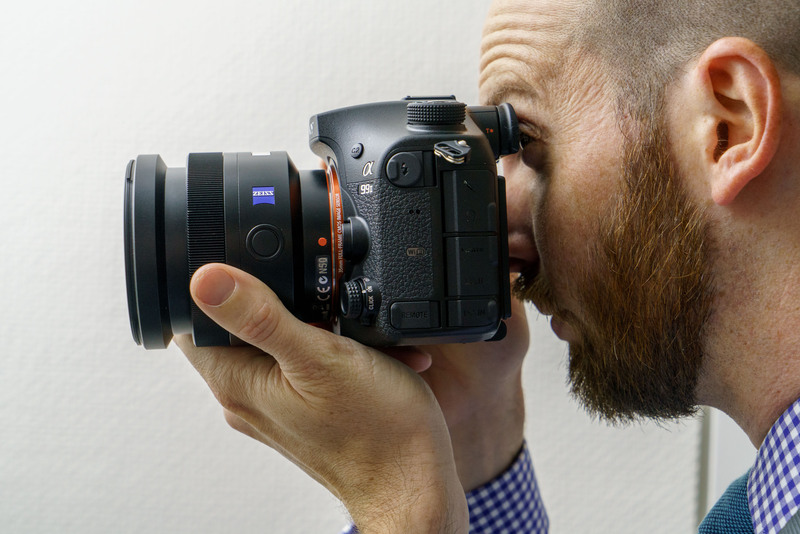 It can also continue to show live updates while shooting at up to 8 frames per second, giving an experience much closer to an optical viewfinder than usual, as demonstrated in the video below. The silent control dial on the front of the camera has been reworked. In addition to being able to rotate freely, for smooth control over continuous settings in video mode, it now gains a switch that introduces click stops. This means it can be used more precisely when controlling discrete, stepped settings. 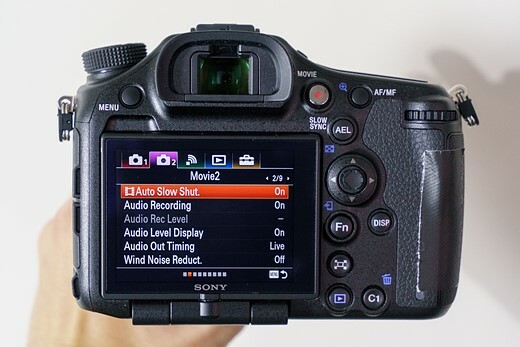 Sony has refreshed the camera’s menus to make them both easier to navigate and to remember. Some associated features have now been clustered together – you can find all the movie options in the same place, for instance. The tabs as the top of the menu are also now color coded, to help you recognise and remember which section of the menu you’re in. Whether this is be visible enough to help you recall where a particular setting is remains to be seen but it’s great to see Sony taking steps to address their menu system. 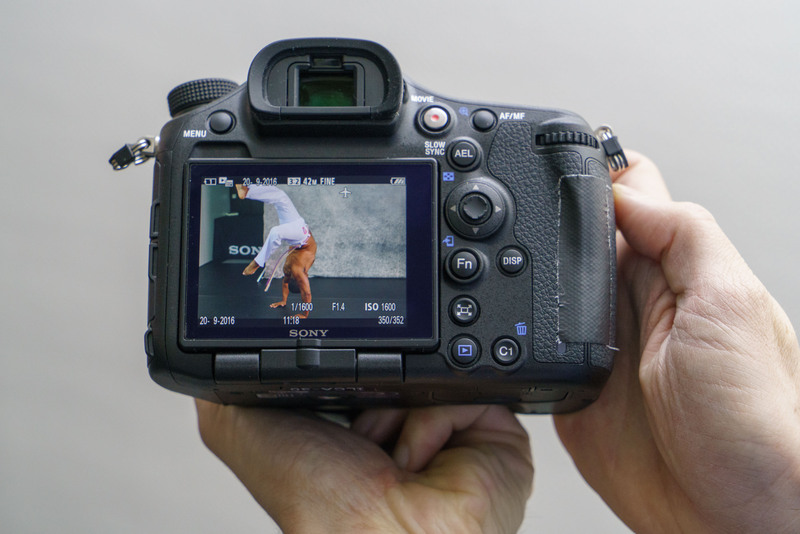 The camera features the same multi-hinged LCD as its predecessor, and it continues to lack touch sensitivity. 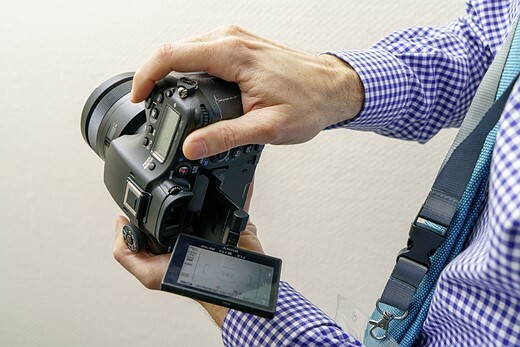 There’s a flip out cradle that extends from the back of the camera and, at its lower edge, there’s a hinge that allows the screen to rotate in several directions away from the body. This allows you to angle the screen in numerous different ways, to suit the way you’re trying to shoot. Numerous other refinements include never making you wait to get into playback mode. After a burst the camera can now start to show the first images you shot, along with an on-screen indication of how much longer you’ll have to wait for the others to become available. 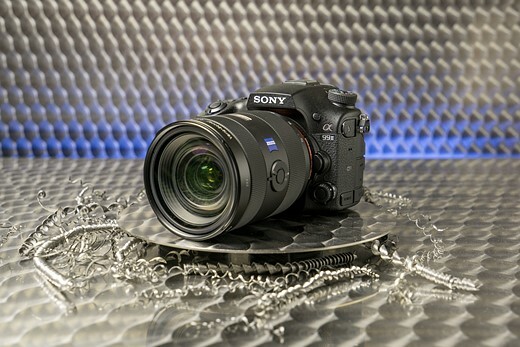 The a99 II also gains an anti-flicker mode for shooting under artificial light that syncs its continuous shooting to the brightest point in the light source’s flicker cycle.